Recognise this quote? Any Shakespeare fan would, and everyone else probably heard it at school and had a light-bulb moment at the beginning of this sentence. 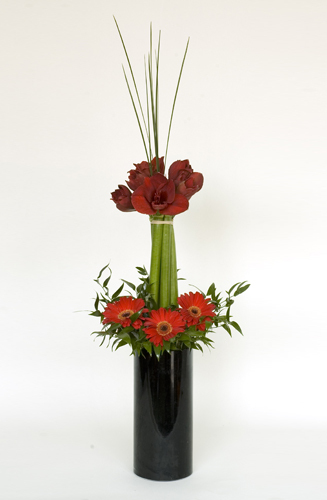 But, in truth the names of flowers can have an impact on the atmosphere they create in your office or reception. Their names say a lot about the flowers, so even if a visitor does not know what the name means they do get a sense of the flower that the name symbolises even without realising it. The trick then is to choose blooms which complement your office, both in their appearance and the meaning behind the flower. Depending on the tone you want to set for your space the names of your blooms can have an effect – you may not want lilies everywhere when they are intimately associated with funerals for example! The name for this flower comes from the Ancient Greeks. Legend says that this flower was named for Proteus, son of the sea god Poseidon, who knew all things past, present and future. People sought him for his gift and so Proteus would shift into many different forms to avoid them, a nifty trick! 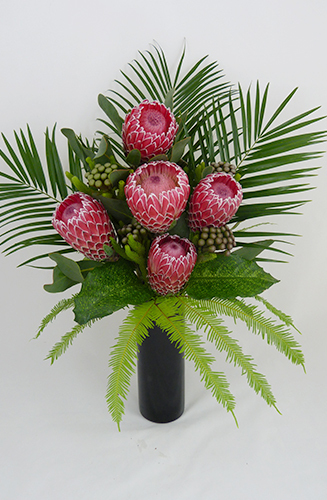 The protea flower likewise comes in many different forms and is a symbol of diversity and strength as a result. This is a great bloom to represent a diverse company. 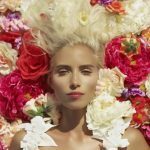 This flower originates from tropical climates such as the Caribbean and South Africa, but now can be found all over the world – except of course in Antarctica. Made famous by the poet Virgil, these flowers take their name from the nymph Amaryllis, who declared her love for a gardener and was rebuffed, which is cited as the reason that amaryllis are a deep red. Meaning sparkling and splendour, amaryllis give a sophisticated air to any room. These flowers bloom for an astonishing six weeks and so are perfect for a long-lasting office accompaniment. The anthurium is a flower that comes with many a name: Flamingo Flower, the Painted Tongue and a Painter’s Palette being among them. Legend states that when this bloom closes its petals rain is imminent and that magical faeries would sleep under the petals as they closed. 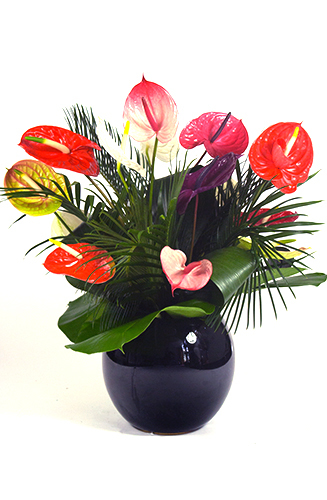 With their open, heart-shaped, tropical-feeling petals the anthurium has come to be a symbol for hospitality. This is a happiness-inspiring flower perfect for an office and great if you fancy faeries taking up residence! Wait! We know, we know, the sunflower seems like a very self explanatory name. To be perfectly honest it is. However, not all the world names these bright flowers after the sun. In fact in Turkish the word for sunflower Ayçiçek means, wait for it, moonflower! 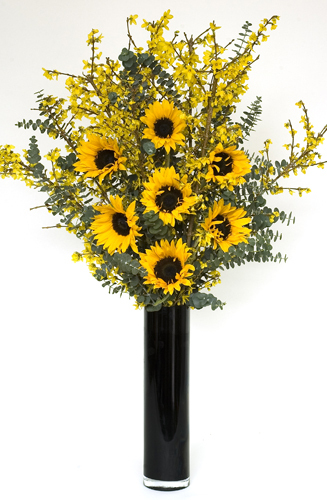 There’s no doubt that sunflowers lift the mood in any room, but now you can help by pulling out this fun fact on dreary days! 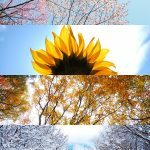 So now you know the meaning behind the blooms that you have spread around the office, hopefully you will have a better idea of the type of flower to proudly display in your business to send the right message to all your visitors. Don’t hesitate to get in touch with us on 0208 9688190 with any enquiries you may have regarding our products and services.